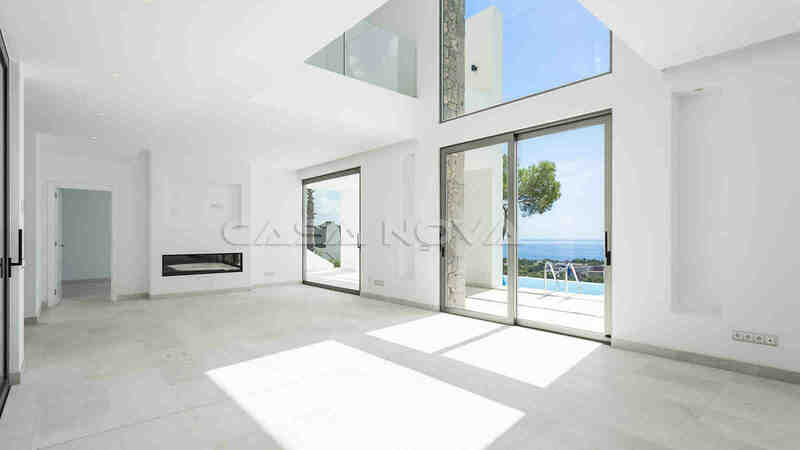 Real Estate Agency Mallorca: This luxury villa with pool and stunning sea views is located in a residential area in Costa den Blanes, in the southwest of Mallorca. 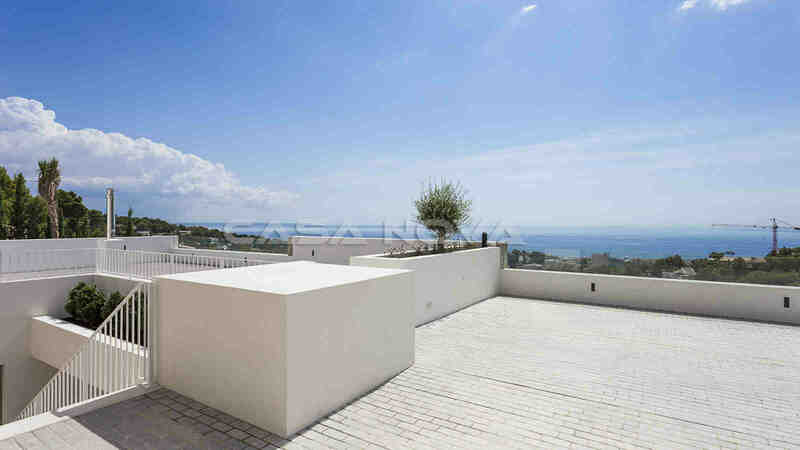 The outstanding property with pool and spectacular sea views and panoramic views is located on a plot of approx. 841 m2. 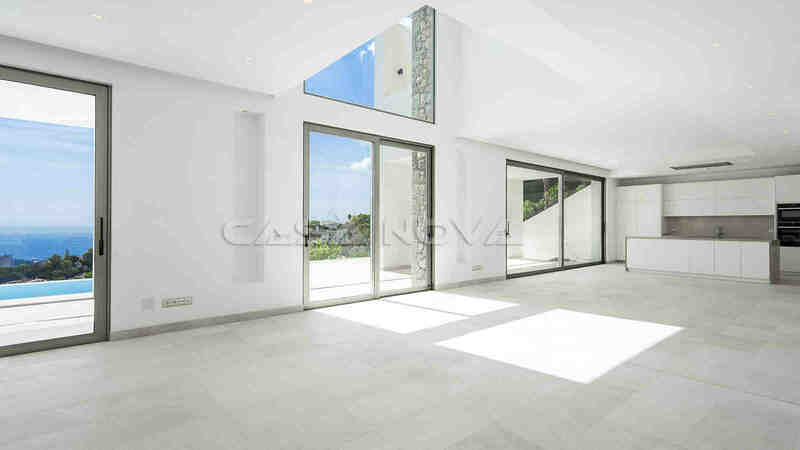 The living area of the villa is about 350 m2. 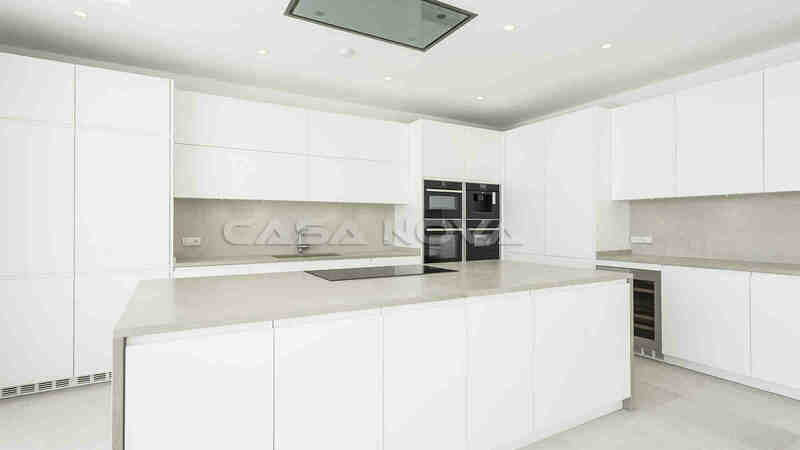 The distribution is as follows: a very spacious living / dining room with access to the fantastic outdoor area with sun terraces and pool, an open modern kitchen equipped with brand appliances, 4 double bedrooms and 4 bathrooms en suite. Furthermore, there is also a guest toilet, an utility room and a cellar. 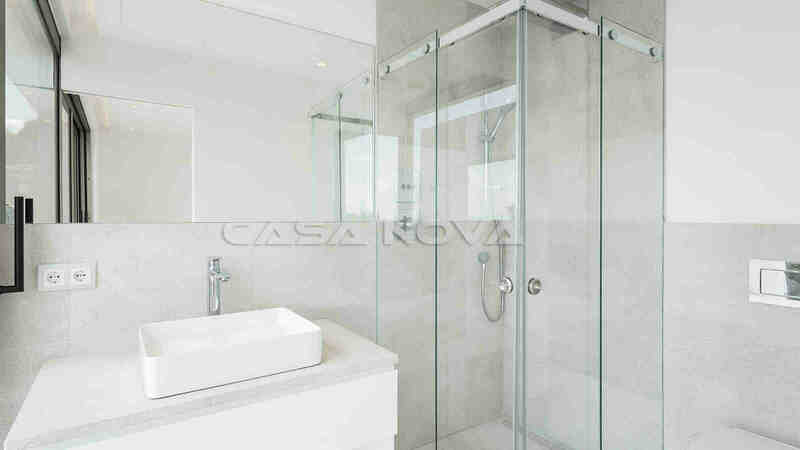 The highlight of this first-class property is spacious room distribution and beautiful natural stone cladding. 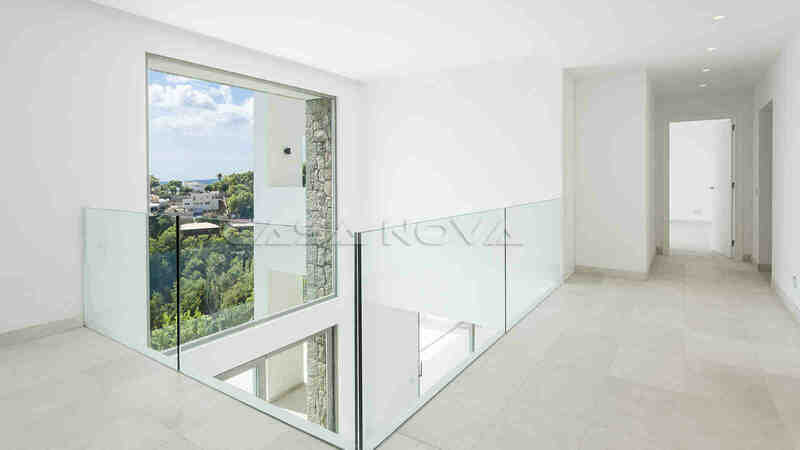 The property is equipped with: underfloor heating, air conditioning hot / cold, double glazed aluminum windows, BUS system (computer-controlled services), fitted wardrobes, and natural stone floors. There are 2 parking spaces available. 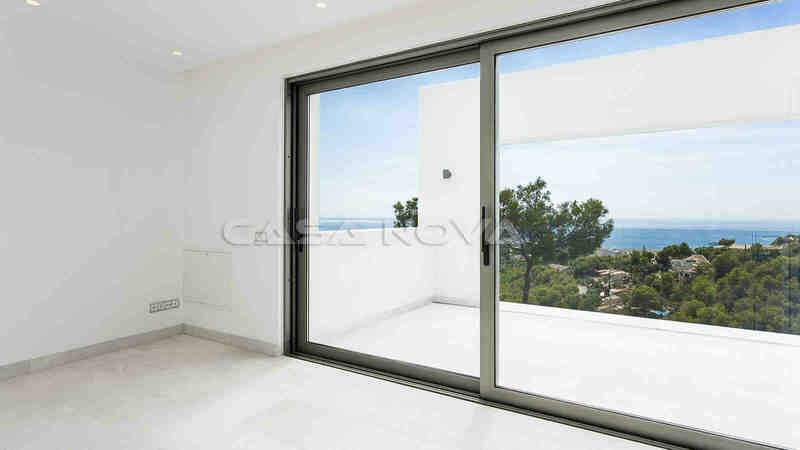 Costa den Blanes is located above of Puerto Portals, which is a famous exklusive port in the southwest of Mallorca. Here there are luxurious restaurants, boutiques, bars, banks and shops for the everyday need. Numerous golf courses also are nearby and are accessible within a few minutes by car, just as other sandy beaches and yacht harbours. The capital of the island Palma de Mallorca is accessible at approx. 15 minutes by car, the airport at approx. 20 minutes. The good infrastructure permits an all-year life in this region. International schools and doctors centres also nearby. With pleasure we present to you this luxurious villa. For the buyer originates no commission. 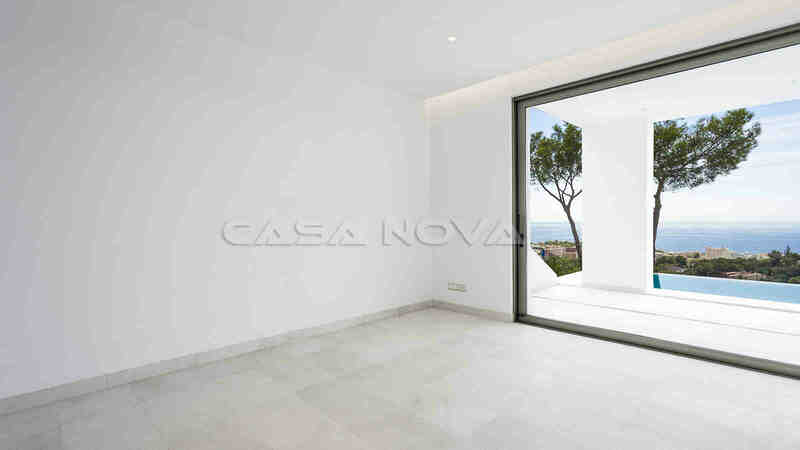 Casa Nova Properties is the leading real estate agency in Mallorca and specialist for the southwest.